I won’t deny it, I love me a snowstorm. I love waking up on a cold snowy morning, watching the snow fall and accumulate. When all the surroundings are beautifully quiet — not only does everything look as if it is covered with a big white blanket, it also sounds as such. A snow day means I can stay in my pajamas, drink hot tea and being lazy on the couch all day. No running, no biking, no swimming, not even yoga — though I could take a yoga online class or do my own thing I just don’t feel like it. Wise people know that the best way to survive a snowstorm is to stay in and cook your way through it. Ask anyone that is familiar with blizzards and you'll get the same answer every time: Keeping the belly warm during a heavy snowfall is THE best way to endure it. That's what I did, anyway. Among the many recipes I cooked over this past weekend this (Paleo) Chocolate Mug Cake came out so awesome I couldn’t possibly not share it with you. Okay, so I know you’re probably over mug cakes and you’re probably rolling your eyes at me. But trust me on this one, it’s delicious. 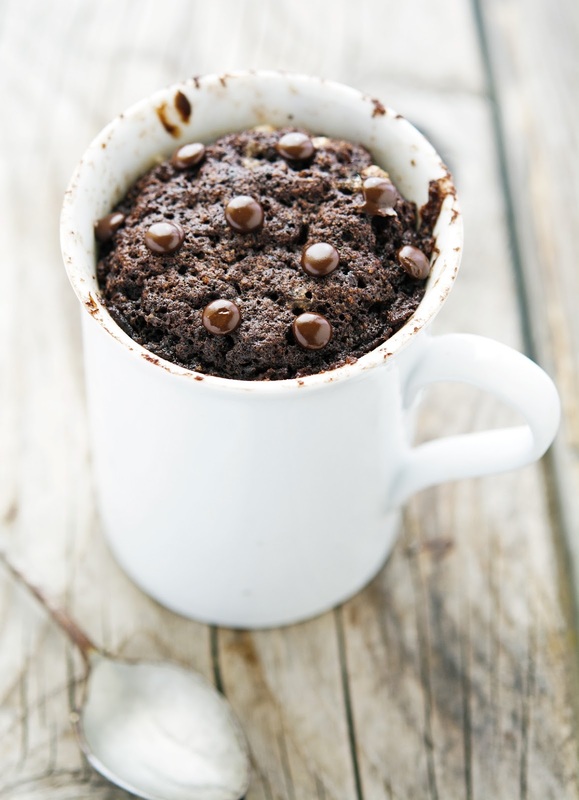 This mug cake is such a great alternative to baking a flourless chocolate cake or a pan of cupcakes. It’s a super legit fix for that chocolate craving! 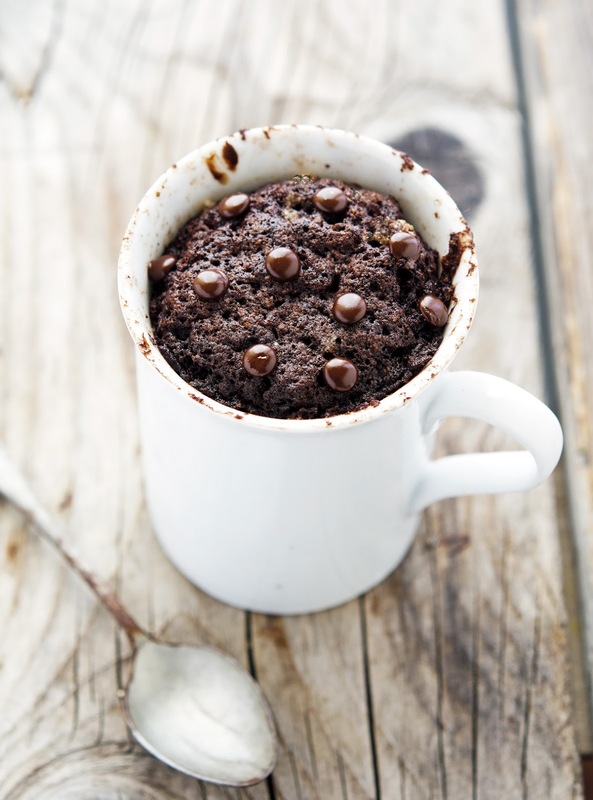 (Paleo) Chocolate Mug Cake Print this recipe! In a large mug or cup whisk coconut flour, cocoa, and baking powder. Add egg, milk, coconut oil, maple syrup, and vanilla. Using a small fork, whisk until everything is well combined. Finally, fold in chocolate chips. Microwave on high for 2 and ½ minutes. Let sit for a couple of minutes before devouring. 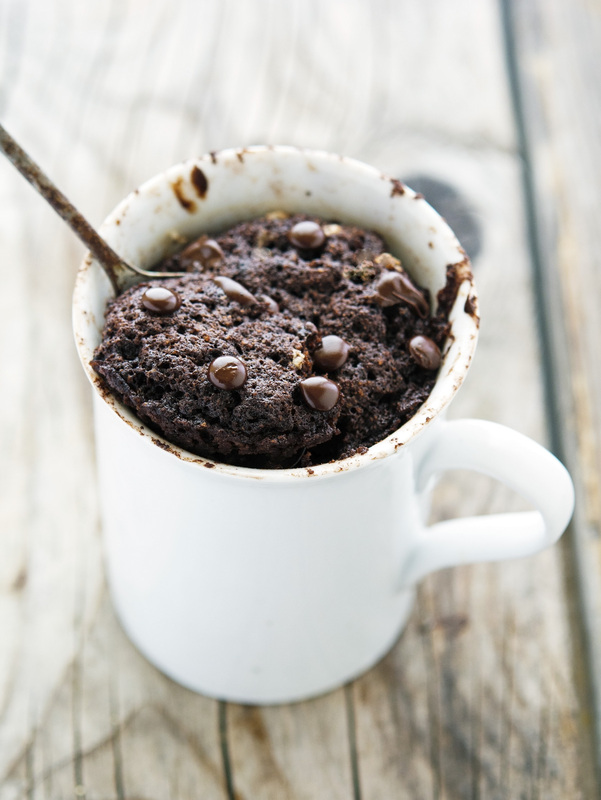 One mug cake yields 576 calories, 40 grams of fat, 50 grams of carbs, and 11 grams of protein. I love a quick fix for chocolate cravings that doesn't involve lots of leftovers to get me into trouble! There's definitely something nice about being snowed in, especially in this day and age because everything seems to slow down, and you can just live the simple life. Those are exactly my thoughts K! I never really considered myself wise - till I read your post, Mike! :) Here in Atlanta, the city shuts down even for a 1/2 inch of snow and I must say I adore those "snow" days so much! Staying home and baking in my pj's is my idea of bliss! Especially when said baking involves chocolate! Glad you jumped on the mug cake bandwagon - nope, most def. did not role my eyes at you cos they happen just about every week in our house - gotta try this version soon! Any idea how long you would bake this in the oven? I'm one of those weird people with no microwave... thanks! You can definitely bake it in oven, try at 350°F for about 15 minutes. Serves 2. PUH LEEZE! lol! I still have 1/2 a bag of coconut flour left, and am looking for quick ways to use it up (so I can get more). This is going to be PERFECT!! I didn't do any structured exercise over the snow storm weekend, either. AND I LOVED IT. Being snowed in is so awesome!!! I am a teeny bit envious of the snow storm. We had rains for 2 days and everyone was going gaga over it. Your day seems really good with an online yoga(which I'm sure you took), pyjamas and food. I cold never get enough of mug cakes, the best and easiest way to enjoy some dessert in no time at all. Loving this one. Have a great great weekend my friend. This looks incredible! My mouth is already drooling.